You want to start learning Dutch and you just discovered there is a wide range of courses available … in English. But what if English is not your strongest point? What if you need to translate everything you read from English into your own language and vice versa in order to learn Dutch? It might quickly become a confusing experience! 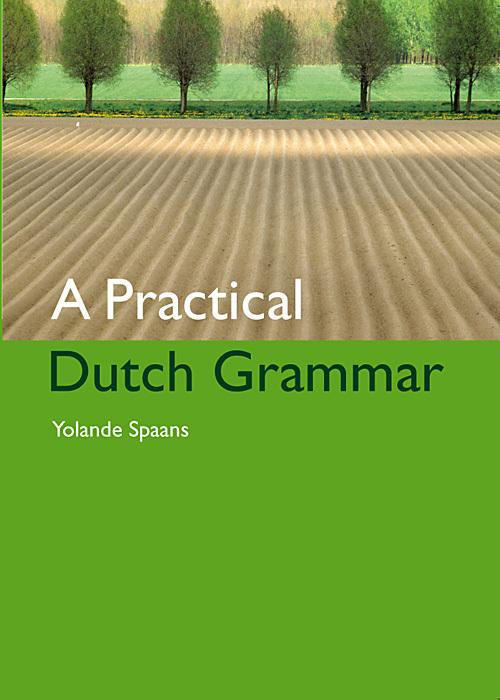 Yolande Spaans, A Practical Dutch Grammar, Primavera Press, Leiden. This elementary grammar is based on years of teaching experience. Step by step students are taken through topics they otherwise find difficult. And the approach is, as the title says, practical, with many examples from everyday situations and conversations. Unlike the majority of the translations, the original English version is, now in a revised edition, only available as a printed book. Which topics does this grammar book cover? The grammar has around 85 pages including appendices. Basic topics like spelling, word order, verbs, articles, nouns and adjectives, pronouns, negation and the forming of complex sentences are presented in a clear way and illustrated with many examples. The appendices contain lists of frequently used irregular verbs, numerals, prepositions and adverbs, practical information about dates and time, and an overview of pronouns used for reference. What is the Dutch Grammar project? to preferably share these translations online for easy access. making a donation towards the upkeep of this website, so we can continue to distribute our e-book editions free of charge to those wanting to learn the Dutch language. funding of, or assisting with, a translation into a language in which A Practical Dutch Grammar is not yet available.